Johnny “J.R.” Cash was an American singer-songwriter, guitarist, actor and author who was widely considered one of the most influential musicians of the 20th century. Although primarily remembered as a country music icon, his genre-spanning songs and sound embraced rock and roll, rockabilly, blues, folk, and gospel. 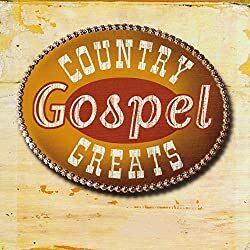 This crossover appeal won Cash the rare honor of multiple inductions in the Country Music, Rock and Roll and Gospel Music Halls of Fame. 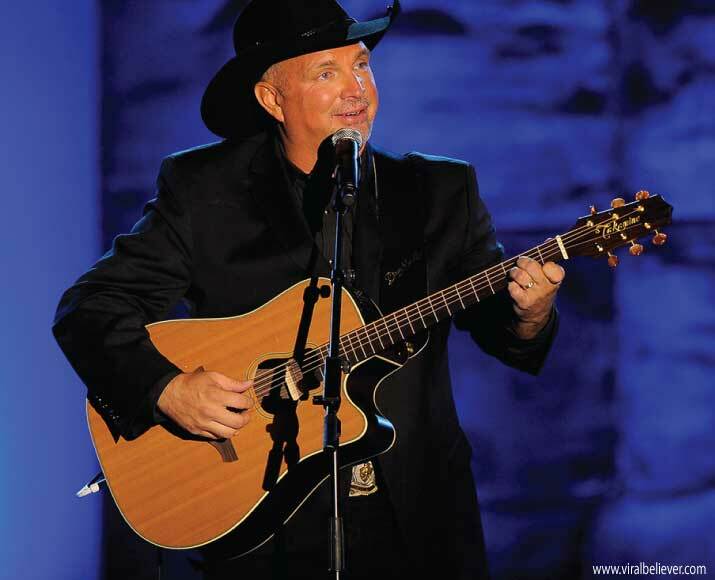 Troyal Garth Brooks, best known as Garth Brooks, is an American country pop singer-songwriter. His eponymous first album was released in 1989 and peaked at number 2 in the US country album chart while climbing to number 13 on the Billboard 200 album chart. Brooks’ integration of rock elements into his recordings and live performances earned him immense popularity. This progressive approach allowed him to dominate the country single and album charts while crossing over into the mainstream pop arena. …and most of all [I’d like to thank] Jesus Christ for without Him, nothing is possible, God Bless Us All. Glen Travis Campbell is an American country music singer, guitarist, songwriter, television host, and occasional actor. 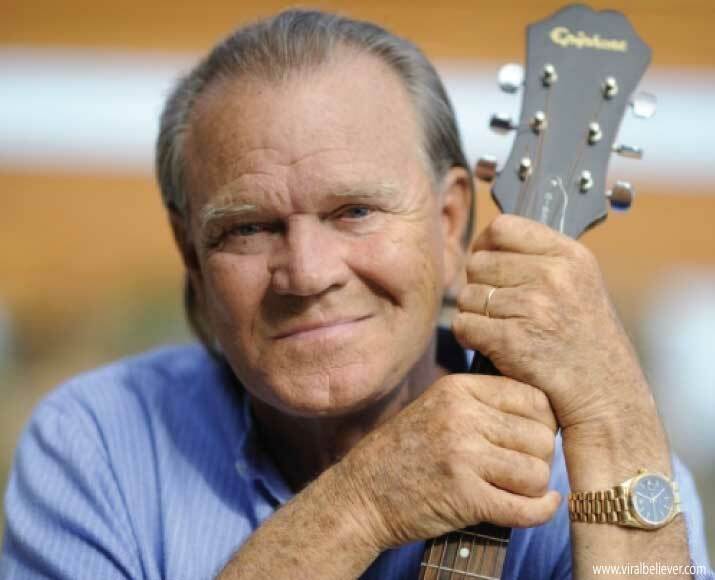 He is best known for a series of hits in the 1960s and 1970s, and for hosting a variety show called The Glen Campbell Goodtime Hour on CBS television. Glen is currently suffering from Alzheimer’s disease and I am sure he and his family would appreciate your prayers. 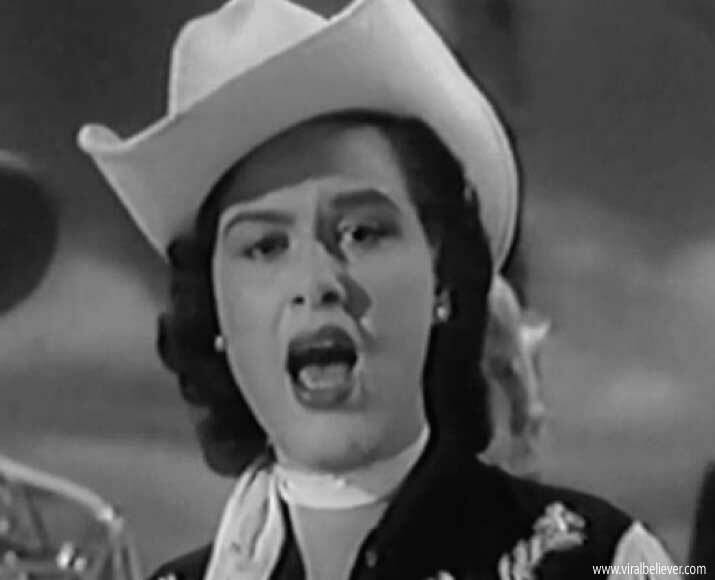 Virginia Patterson Hensley, known professionally as Patsy Cline, was an American singer. Part of the early 1960s Nashville sound, Cline successfully “crossed over” to pop music and was one of the most influential, successful and acclaimed vocalists of the 20th century. She died at the age of 30 in a multiple-fatality crash in the private plane of her manager, Randy Hughes. Also, she had what we would call today “a near death experience” where Jesus Himself came and talked to her. Patsy was quoted as saying: Jesus has been in my room. He has taken my hand and told me, No, Not now. I have other things for you to do.” Patsy stated to her friends publicly following the wreck that she had re-dedicated her life to Christianity (i.e. Christ). 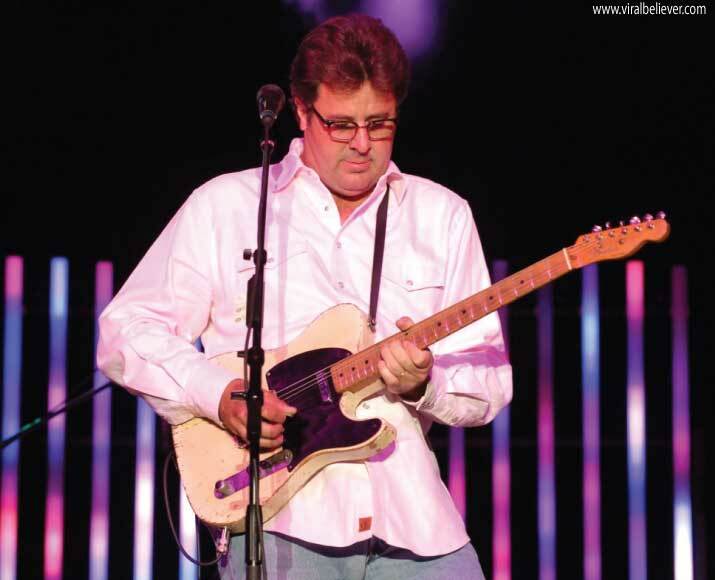 Vincent Grant “Vince” Gill is an American country singer-songwriter and multi-instrumentalist. He has achieved commercial success and fame both as frontman to the country rock band Pure Prairie League in the 1970s, and as a solo artist beginning in 1983, where his talents as a vocalist and musician have placed him in high demand as a guest vocalist, and a duet partner. At a concert in Kansas City, the members of Westboro Baptist Church decided to picket his concert. Gill confronted the protesters face to face. His response to their claims that he was going to hell for marrying Amy Grant because they had both been previously divorced he responded. “(Jesus) He also said a lot of stuff about forgiveness, about grace. You guys don’t have any of that.” Gill does not deny his divorce or try to justify it; he just names his forgiveness by grace. Merle Ronald Haggard is an American country and Western songwriter, singer, guitarist, fiddler, and instrumentalist. Along with Buck Owens, Haggard and his band The Strangers helped create the Bakersfield sound, which is characterized by the unique twang of Fender Telecaster and the unique mix with the traditional country steel guitar sound, new vocal harmony styles in which the words are minimal, and a rough edge not heard on the more polished Nashville sound recordings of the same era. On his own website Merle gives this testimony. So there is NO misunderstanding, let me testify, the power of the healing our Heavenly Father has bestowed upon me. In ’08 I was diagnosed with lung cancer. Most everyone knows that’s a death sentence! Not in my case! More recently I was diagnosed with a heart problem in two hospitals, in Ft. Worth and in Bakersfield. Either they both malfunctioned exactly the same way, or once again, the Lord stepped in and altered the condition. An angiogram proved it all wrong. My heart is perfect! It’s almost embarrassing to know that the Lord cares that much for me. But, I am gonna shout it to the entire world. He healed me either at my request or someone else’s There were a lot of prayers involved. He also guided the hands of other special doctors and was able to properly relocate my Atlas. But never for a moment do I give credit or claim any myself. The Man upstairs is still in charge. I am gonna be 75 this coming April and I am a walking miracle I might add a Healthy miracle. I give all the thanks to my Heavenly Father and to my wonderful family, Theresa, Jenessa and Bennie. 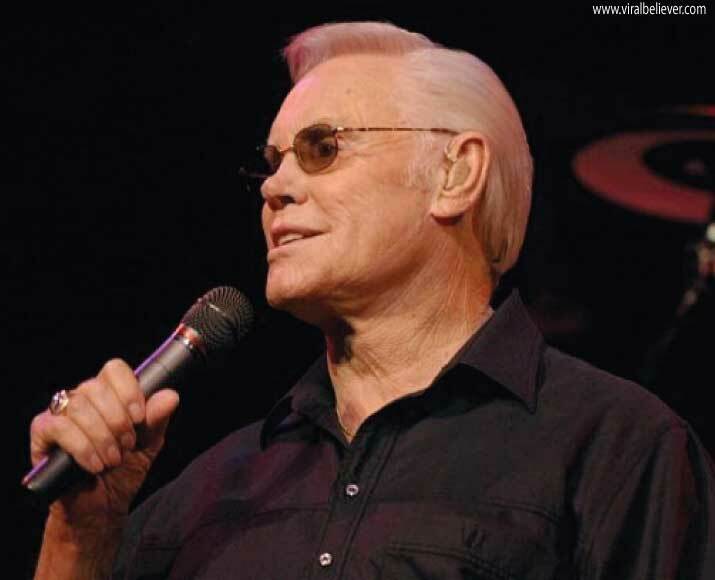 George Glenn Jones was an American musician, singer and songwriter who achieved international fame for his long list of hit records, including his most well known song “He Stopped Loving Her Today”, as well as his distinctive voice and phrasing. 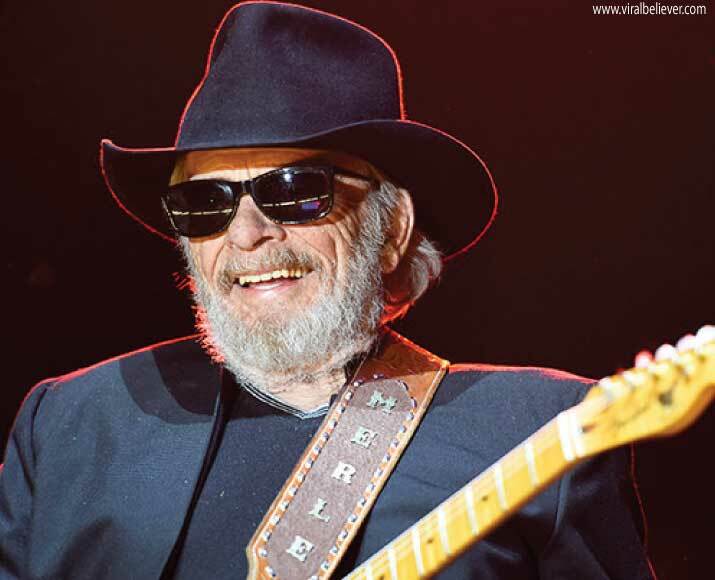 For the last 20 years of his life, Jones was frequently referred to as the greatest living country singer. Later he was in an automobile accident and almost died. He was in a coma for several days. He states “They said when I started coming out of the coma, I was singing gospel songs. I had met Vestal Goodman about six or seven months or so, maybe longer, and the Carolinas. I didn’t have her in my mind any time after that. All of a sudden, when I started coming out of the coma, or whatever it was, my wife said I started singing gospel songs and wanting to see Vestal. Come to find out, she’d been praying. I wanted some gospel music, and my whole life changed. I’m not angry with myself like I was, no sir. I’ve got good people around me, Vestal Goodman, bless her heart. I see life in a different way, the way I feel like I should have seen it all my life. I feel like it’s been wasted, but there’s nothing I can do about that. I just thank God I’m still here, and the main thing is to try to get closer and closer to Him. Barbara Ann Mandrell is an American country music singer and actress. She is known for a series of Top 10 hits and TV shows in the 1970s and 1980s that helped her become one of country’s most successful female vocalists of that period. She was inducted into the Country Music Hall of Fame in 2009. Barbara calls her faith in God “a simple faith.” She was brought up in the church as a young girl and was saved at 10 in her Lutheran church. Barbara says God has given her the most marvelous life. He’s been teaching her the biblical passage from the Lord’s Prayer – forgive us our debts as we forgive our debtors. We have to forgive, which means forget. Barbara says if it’s hard for her to forgive someone, she envisions Jesus on the cross and what was done to Him for our sins. 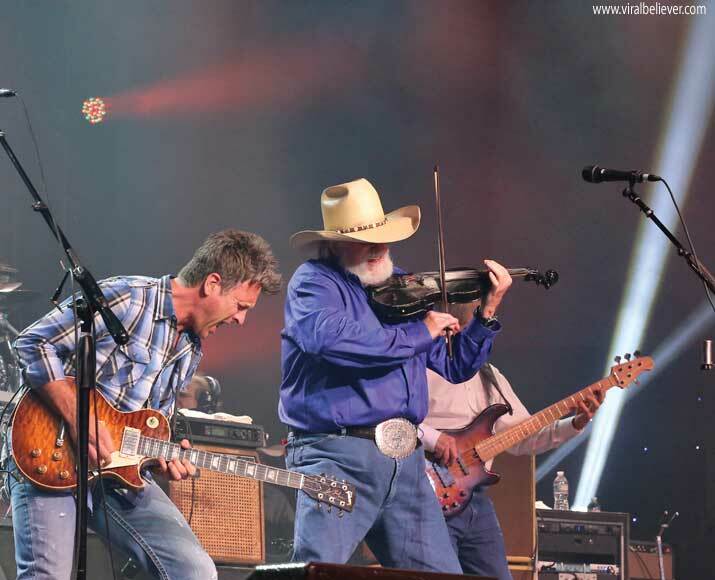 Charles Edward “Charlie” Daniels is an American musician, singer and songwriter known for his contributions to country, bluegrass, and Southern rock music. He is perhaps best known for his number one country hit “The Devil Went Down to Georgia”, and multiple other songs he has written and performed. Daniels has been active as a singer since the early 1950s. 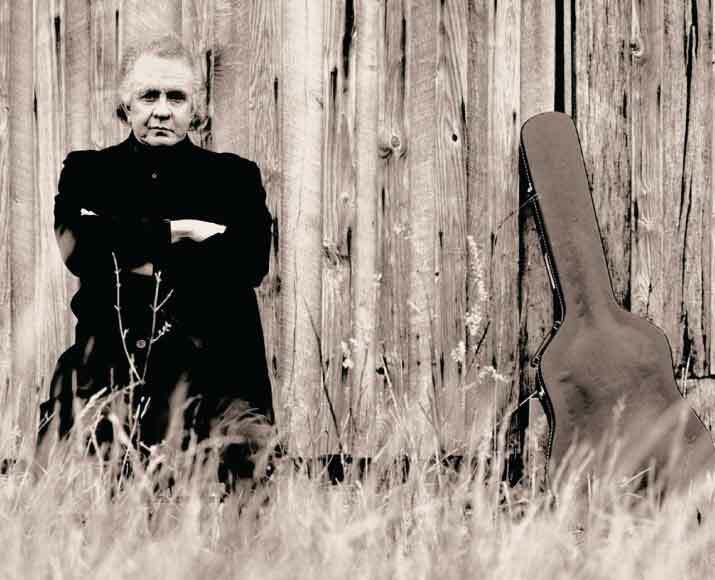 He was inducted into the Grand Ole Opry on January 24, 2008 and the Musicians Hall of Fame and Museum in 2009. Although Daniels was brought up in a Christian home and asked Christ into his life as a child, he said he got off track later in life. Thanks to a tug from the Holy Spirit, he said, he gradually found his way back. Dolly Rebecca Parton Dean is an American singer-songwriter, actress, author, businesswoman, and humanitarian, known primarily for her work in country music. Her career began as a child performer on the Cas Walker radio show, then recording a few singles from the age of 13. Relocating to Nashville at age 18 in 1964, her first commercial successes were as a songwriter. She rose to prominence in 1967 as a featured performer on singer Porter Wagoner’s weekly syndicated TV program; their first duet single, a cover of Tom Paxton’s “The Last Thing on My Mind”, was a top-ten hit on the country singles chart and led to several successful albums before they ended their partnership in 1974. Moving towards mainstream pop music, her 1977 single “Here You Come Again” was a success on both the country and pop charts. A string of pop-country hits followed into the mid-1980s, the most successful being her 1980 hit “9 to 5” and her 1983 duet with Kenny Rogers “Islands in the Stream”, both of which topped the U.S. pop and country singles charts. A pair of albums recorded with Linda Ronstadt and Emmylou Harris were among her later successes. In the late 1990s, she returned to classic country/bluegrass with a series of acclaimed recordings. Non-musical ventures include Dollywood, a theme park in Pigeon Forge in the Smoky Mountains of Tennessee, and her efforts on behalf of childhood literacy, particularly her Imagination Library, as well as Dolly Parton’s Dixie Stampede and Pirates Voyage Dinner & Show. Roy Rogers was an American singer and cowboy actor who was one of the most popular Western stars of his era. Known as the “King of the Cowboys”, he appeared in over 100 films and numerous radio and television episodes of The Roy Rogers Show. 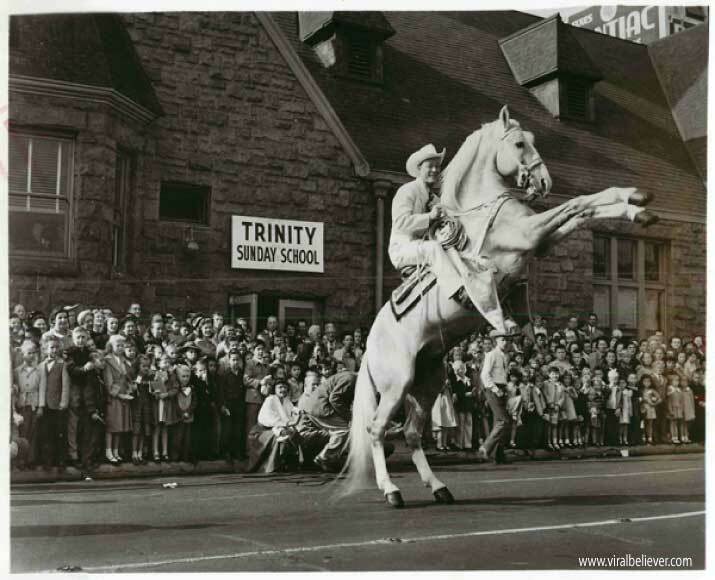 In many of his films and television episodes, he appeared with his wife Dale Evans, his golden palomino Trigger, and his German Shepherd dog Bullet. His show ran on radio for nine years before moving to television from 1951 through 1957. His productions usually featured a sidekick, often Pat Brady, Andy Devine, or George “Gabby” Hayes. In his later years, Rogers lent his name to the Roy Rogers Restaurants franchised chain. Dale Evans, Roy’s wife, was a believer when she married Roy but it wasn’t until after she married him that she truly dedicated her life to Christ. When this happened, Roy was off on a hunting trip. When he came home Roy noticed the difference in Dale and asked her what had happened. She told him that she had rededicated her life to Christ. Roy had never personally believed in Jesus Christ. She didn’t pressure him, but she set an example. After taking the children to church, they began to pray and sing hymns together and they took turns saying grace. The girls noticed that Roy didn’t say grace, and Linda, age 6, asked him why he didn’t. She asked, “Don’t you know how to talk to God, Daddy?” Roy had become the odd man out in his own family. God the Holy Spirit was putting the pressure on Him to make a decision. One night at a party in the home for Roy’s movie crew, some of the women noticed a change in Dale and asked her about it. As she said that she had new responsibilities, Roy walked in and heard half the sentence and jumped to the conclusion that she was complaining about how late the party was running. Roy told her bluntly, “If you have a problem this is no place to talk about it!” She was hurt and later cried when she was alone in her room. Roy was full of guilt and felt that he had stained their relationship. That night Roy decided to accept Christ as his Savior. He said later, I stood looking out our bedroom window after an incident at a party we had given that had strained our relationship. I thought about my responsibilities to my family, and it occurred to me that any financial provisions I might be able to leave for my children would someday be gone. The fame of being a movie star wouldn’t last forever. I want the kids to remember me for something special, something that matters. I want them to remember me as a daddy who took them to church on Sundays and helped them learn how to live a good Christian life. As we sat in the service, I bowed my head for a long time, thinking about the decision I should make. At the invitation I sat up and turned to Dale. “Mama, I’m going down there.” I did go, accepting Jesus Christ as my Savior. Carrie Marie Underwood is an American singer, songwriter and actress. She rose to fame as the winner of the fourth season of American Idol in 2005. Underwood has set and broken several records throughout her career. Her achievements led her to be inducted into the Grand Ole Opry in 2008 and into the Oklahoma Music Hall of Fame in 2009. She has won numerous music awards, including seven Grammy Awards, seventeen Billboard Music Awards, eleven Academy of Country Music Awards, and nine American Music Awards. 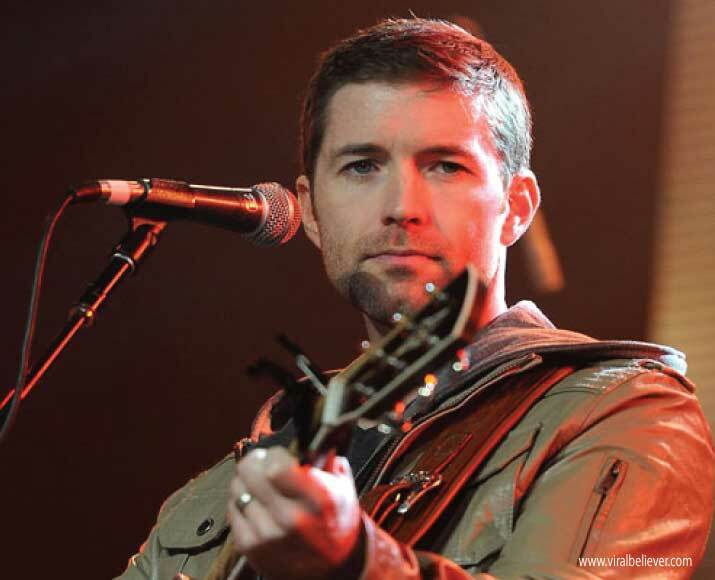 Joshua Otis “Josh” Turner is an American contemporary country music singer and actor. In 2003, he signed to MCA Nashville Records. That same year, his debut album’s title track, “Long Black Train”, was his breakthrough single release. His second album, Your Man accounted for his first two number one hits: “Your Man” and “Would You Go with Me,” while 2007’s Everything Is Fine included a No. 2 in “Firecracker.” Haywire, released in 2010, produced his biggest hit, the No. 1 “Why Don’t We Just Dance” and another number one in “All Over Me”. It was followed by Punching Bag, whose lead-off single “Time Is Love” was the biggest hit of 2012 according to Billboard Year-End. 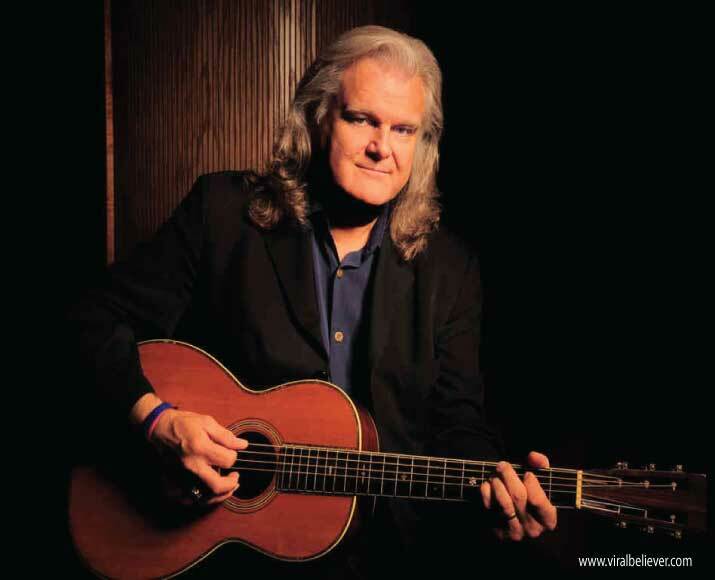 Rickie Lee “Ricky” Skaggs is an American country and bluegrass singer, musician, producer, and composer. He primarily plays mandolin; however, he also plays fiddle, guitar, mandocaster and banjo. Skaggs also knew that his international fame and the personal satisfaction from success had begun to tip his attention away from God and onto himself. He had been a practicing believer since age 13, but his first marriage had ended in divorce, and he didn’t want to suffer that pain again. He and his new bride, Sharon White, wanted to keep the Lord in the middle of their relationship. “There was an emptiness inside my heart,” Skaggs says. “I knew the Lord and had rededicated my life to Him at a church Sharon was going to. What happened that night was “like an explosion,” Skaggs says. It has been a real joy to research this article and find out about the different ways Jesus has made himself known in these great artists. 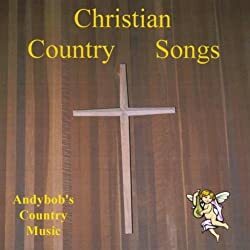 This is by no means an exhaustive list of great country music artists that found Jesus. I am sure there are hundreds more. The article did present some challenges compared to the article I did on 15 Rock Music Legends That Found Jesus. 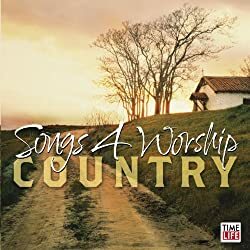 Since country music is so interwoven with gospel music, it seems that almost every country artist sings a gospel song or two. However that alone does not mean you are a believer in Jesus. It means you know that a large portion of your fans are believers in Jesus. So that could not be the criteria for deciding if they had come to know Jesus or not. It was also difficult because country music stretches so far back in history. Many of the country music legends made their mark before there was interviews that could be researched on the internet. I did my best to read between the lines with some of them. Finally, I tried to leave politics and particular theologies out of it. It does not mean I agree with their politics or their theology. I just gave everyone the benefit of the doubt when they made a public confession of Christ. I hope you have enjoyed this list. 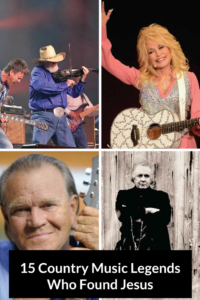 Please feel free to include your favorite country music stars that have came to know the Lord in the comments below. Next articleHow Do You Know God Is Opening A Door For You?